Order in the next 1 hour 7 minutes for delivery on Monday, April 22. 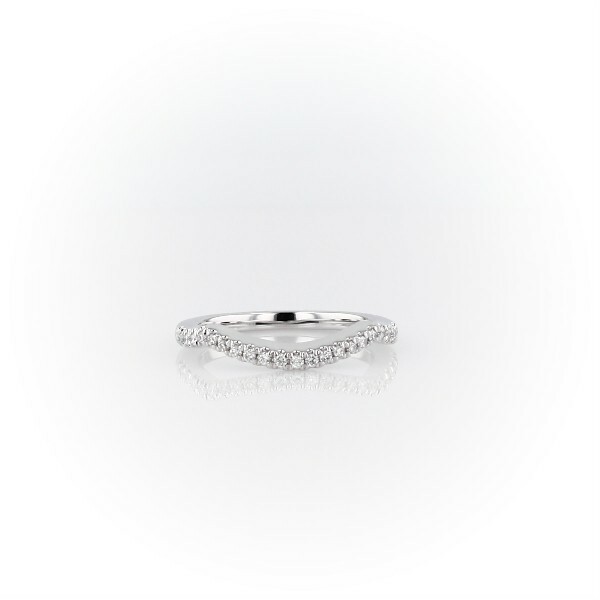 You'll want to show off your wedding ring just as much as your engagement ring with this classic band of 14k white gold gently curved to accommodate and enriched with sparkling diamond pavé. A perfect match with stock number 70851.